See scan - perfect condition. Comes with original ribbon. 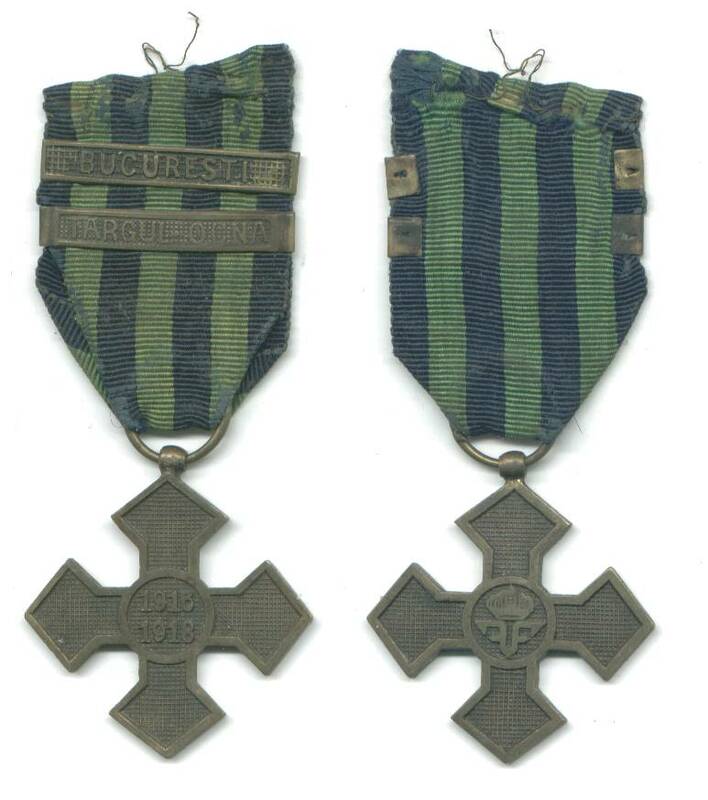 This is a very nice and rare Romanian Royal WWI 1916 - 1918 War cross with 2 CAMPAIGN bars - a BUCURESTI bar and TARGUL-OCNA bar. 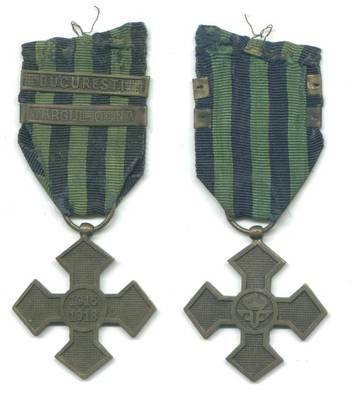 Very scarce collector piece. 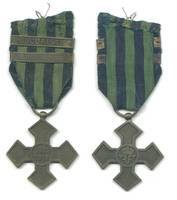 Awarded for bravery and military merit during the war.